Are you looking for a ‘home away from home’ to enjoy the treasures of Lebanon? Go no further – we have just the palace for you! 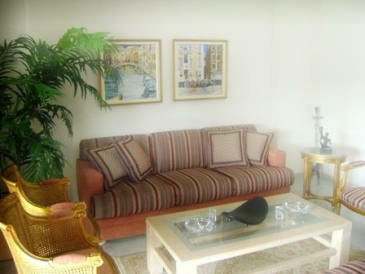 Relax and stay a while in one of Zouk Mosbeh’s private luxurious penthouse holiday homes. Located in the lucrative Adonis Kesserwan / Jouneih area of Beirut, it is a 5 minute drive to the beach and 15 minute drive into the popular downtown area of Beirut (15 – 30 min by car to downtown Beirut, depending on traffic). Whatever your reason, business or vacation, we welcome you and invite you to enjoy your stay with us! This 2 bedroom 2 bathroom penthouse vacation rental, has an elevator, private garage, living room, dining room, TV room with cable, twin room and master bedroom. The kitchen has all modern conveniences, including a washing machine, however if you would like additional services such as itinerary planning, administration or secretarial assistance, laundry and cleaning please let us know, we also offer airport pick up as well as a chauffeur service should you need one! With gorgeous views from large balconies surrounding the penthouse, you can entertain guests or relax and enjoy the sea and city views. The main balcony has a BBQ as well as TV! The Penthouse is exquisitely furnished, all furniture uniquely handmade with intricate detail and with a warm and inviting flare! The Penthouse is available year round. To make a reservation please email reservations or info for more details. You can also call us direct on +1201 233 6171. The Penthouse address is Zouk Mosbeh Street, Ribaya Building, Aleb Yasouu (Adonis Kesserwan, Beirut, Lebanon). Close to the supermarket La Morena.